Carson Daly is the current host of NBC’s “The Voice” and TODAY’s digital studio, the Orange Room. Daly joined the TODAY family on Sept. 16, 2013, when the revamped Studio 1A — including the Orange Room, a space that connects the show and the audience like never before — was unveiled. Daly began his career in radio in the early 1990s, quickly moving up the ranks as an on-air DJ in five different cities within his first five years. Shortly thereafter, he landed one of the most coveted positions in the business: the early evening voice of Los Angeles’ influential and top-rated KROQ-FM. MTV soon recognized his talent and brought him to New York City. Daly served as host and executive producer of MTV’s “Total Request Live” (TRL), where for four years he transformed an afternoon music video program into a must-stop on the publicity circuit for musicians, movie stars and entertainers alike. In January 2002, he joined NBC as host of “Last Call with Carson Daly.” While at “Last Call,” he has given many of the hottest bands their first break on U.S. television, including The Killers, Maroon 5, B.o.B., fun, Ed Sheeran, Kendrick Lamar and many more. 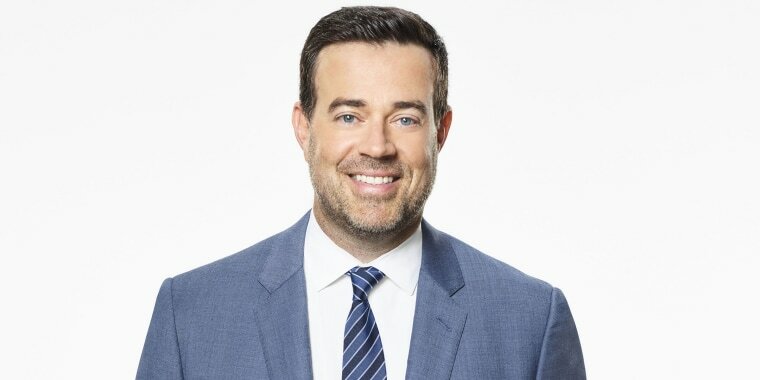 For the past eight years, Daly and Universal Media Studios have produced NBC’s annual New Year’s Eve primetime special, “NBC’s New Year’s Eve with Carson Daly.” As host and executive producer, he has led the broadcast on all NBC platforms. Daly is on Twitter at @CarsonDaly.